Leicester-based painter decorators and home owners have a choice of Brewers Decorator Centres. Our south Leicester showroom is formerly known as Leicester TDS. Outside there’s plenty of customer parking, including dedicated disabled parking. Our extremely knowledgeable, friendly team help tradespeople and the general public make the best choices for all sorts of paints, wallcoverings, decorating materials and tools and equipment. We’re happy to make site visits to ensure you get the right recommendations and we can even deliver to your site. 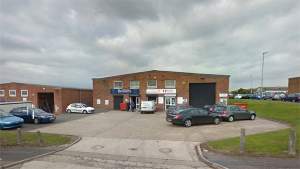 We're on Freemen’s Common Industrial Estate, near the University of Leicester, City Football Club and Tigers Rugby Club. Head for Ealing Road, which you’ll find when you follow the one-way system round. Join Commercial Square from either Putney Road or Freemens Common Road. Head east on Commercial Square, follow the road around staying on Commercial Square. Turn right and then left again onto Ealing Road, turn right onto Chiswick Road and the store will be located on the right.